The Kansas City Medical Society (formerly Metro Med) serves over 3,000 physicians in six counties in both Kansas and Missouri. The Kansas City Medical Society has a rich 132-year history of preserving professionalism and integrity in medicine. Founded in the late 1800’s, the organization brought clean water to Kansas City, founded the Community Blood Bank and Blue Cross. The Kansas City Medical Society’s heritage demonstrates the organization’s longstanding commitment to a patient-focused mission. 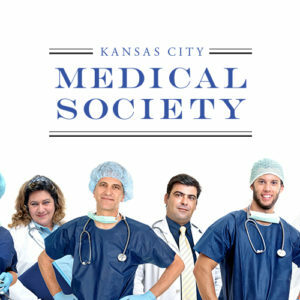 To advance this patient-focused mission The Kansas City Medical Society focuses on six pillars that not only reflect integrity in medicine but look towards the future of Medicine in Kansas City. City through leadership, advocacy and innovation.